Want to make better pictures, but are having a hard time finding the right techniques? 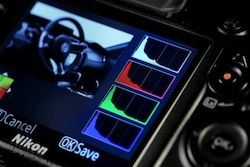 Well, using your Camera's Histogram Screens, might just do one of the many tricks out there! 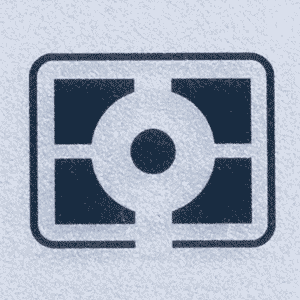 It'll guarantee you a much higher percentage of well-exposed images. Find out how! Nikonians Academy instructors Greg Stangl, Jim Stamates and Michael Mariant will highlight the June Calendar this year. Greg Stangl starts the month with his Secrets of Studio and Environmental Portraiture workshop in Chicago. In this three-day (June 3-6) interactive workshop you will be exposed to a series of lectures, slide shows, and lighting and posing demonstrations that will make your learning experience fun and meaningful. You will learn to pose the male and female form while also understanding how to pose couples and groups. This workshop will help you discover and develop your creativity while offering you lessons in studio, window light, and environmental portraiture. Join Jim and Kathy Stamates for four wild days (June 5-8) to learn, shoot, and experience Grand Teton National Park in the spring. 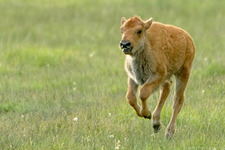 You will shoot the Wildlife of Grand Teton National Park. 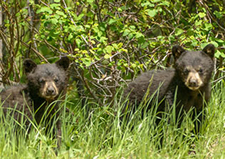 Wildlife species may include; Moose, Bison, Elk, Pronghorn, Black and Grizzly Bears, Coyote, Fox, River Otters, Beavers, and Wolves. We will concentrate on finding subjects with young. We will also look for Bald Eagles, Great Horned Owls, Trumpeter Swans, Sandhill Cranes and Osprey. Many of them will be nesting, as will smaller birds. We will also look for Ruffed Grouse displaying. Landscapes will include the Snake River, Oxbow Bend, Schwabacher Landing, Moulton Barn, and Jackson and Jenny Lakes. The Giant Redwoods of Northern California photo adventure with Michael Mariant (June 27-30) will focus not only on the 'where' to take the pictures, but also on the 'how' to take pictures, incorporating photographic education throughout the workshop at each location. With thousands of redwood trees clustered in hundreds of groves tucked away in Northern California, this workshop brings you to the perfect and ideal redwood groves, at times and locations predetermined to be the best photographic opportunity. July is another big month for us as we come to Toronto, New Orleans, San Francisco, Alaska, Los Angeles and Iceland (just one seat remaining). Video with your digital SLR is the new rage and we've created two very cool workshops focused on this visual technique. Michael Mariant will be leading these workshops. 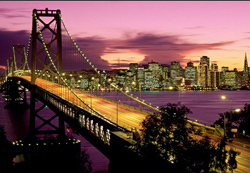 The first is a Timelapse Photography Workshop in San Francisco (July 12) where you will learn how to put together stunning timelapse videos. The second workshop in Santa Barbara, CA (August 30) is titled Video and Cinematography with Your DSLR and is designed to help you learn video from creating the footage to editing it in software. Our friends at Think Tank Photo just announced an exciting new Test Drive program and the release of a new version of its monster rolling camera case, the Logistics Manager™ 30. And don’t forget, there is free FedEx ground shipping on all U.S. orders through May 31, 2013. Find out more about your Nikon D600. Browse through our PDF selection on an array of topics covered. At Nikonians, we aspire to Share, Learn, and Inspire! Be ontop of your gear and know all there is to know. Read more! This week with the Nikonians Academy is incredibly busy. 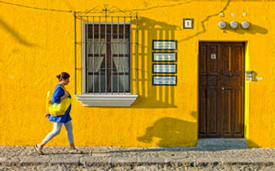 We have photographers on a cruise ship in Europe and North Africa traveling on the Ultimate Travel Workshop. We also have photographers in Page, Arizona participating in a Slot Canyon trip while photographers in Toronto, Ontario are participating in an Urban and Street Photography workshop. When you add our photographers in Milan, Italy participating in the Glamour and Fashion photography workshop, it is evident we are spanning the globe with the Nikonians Academy and we'd love to have you join us on future adventures. June is shaping up to be a great month for the Nikonians Academy. Our newest instructor, Greg Stangl is running his signature class, The Secrets of Studio and Environmental Portraiture June 3 - 5. This three-day workshop will be held at Greg's studio on the outskirts of Chicago. You will be exposed to a series of lectures, slide shows, and lighting and posing demonstrations that will make your learning experience fun and meaningful. You will learn to pose the male and female form while also understanding how to pose couples and groups. This workshop will help you discover and develop your creativity while offering you lessons in studio, window light, and environmental portraiture. Next up, we have our annual Grand Teton Wildlife and Landscapes photo adventure with professional photographer Jim Stamates. Join Jim as he takes you on a guided trip through some of the best wildlife photography North America has to offer. This is an intense four days of photography (June 5-8). We will position ourselves each day before dawn for the best light and best wildlife or landscape options. Each day ends with our cards filled with exceptional images. We eat lunch as a group at one of the local in-park restaurants with time to socialize and get to know fellow Nikonians. Instruction will be in the field. No strenuous hiking. Spring is the best time to photograph moms with their young. Photo opportunities are endless at Grand Teton National Park with wildlife galore including the potential for Bears, Moose, Elk, Pronghorn, Bison, Coyotes, Beavers, Eagles, Osprey and Owls. The scenic opportunities are endless as we visit the top five locations for iconic Grand Teton landscapes. Finally, our Giant Redwoods of Northern California workshop with Michael Mariant is designed to help you create amazing images of giant forests in ethereal light. This workshop (June 27-30) focuses not only on the 'where' to take the pictures, but also on the 'how' to take pictures, incorporating photographic education throughout the workshop at each location. By building on the previous location's techniques and lessons, this allows for culmination in a comprehensive lesson in pre-visualization, composition, modified exposure and light controls. 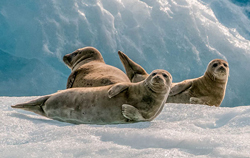 Looking ahead, our Alaska wildlife trip (July 19-24) is one of our annual favorites. Each day of this photo adventure will find you photographing an incredible diversity of wildlife from bears to whales to seals to birds. We will also be photographing ice fields, fjords and landscapes. This trip is truly a highlight for photographers looking to expand their horizons in America's last frontier. Nikonians will have their own private boat to find Humpback and Killer Whales, seals, and other marine mammals, and to take us to a remote area to photograph the largest of the grizzly bears, the Alaskan Brown Bear. With instructions from a professional wildlife photographer, we will fill our cards with images that will astound our friends, family, and other Nikonians. Non-photographers enjoy this as much as photo enthusiasts, which makes this the perfect workshop to bring your spouse. 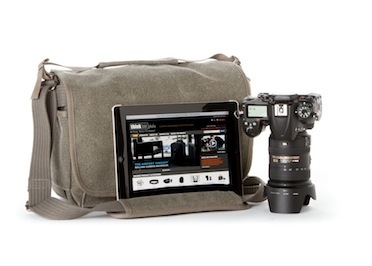 Our friends at Think Tank Photo just announced their first camera bag collection for Mirrorless cameras, the Mirrorless Movers™. The Mirrorless Movers come in four sizes that range in size from the Mirrorless Mover 5, which fits one small size mirrorless body with a small telephoto or pancake lens attached, up to the Mirrorless Mover 30i, which fits one medium to large size mirrorless body plus two to four lenses and an iPad. When you click on this special link you will receive free gear with all orders of $50 or more and free shipping on all orders. Four sizes of bags offer a wide choice to consumers; from the smallest case, the Mirrorless Mover 5, designed for one mirrorless camera, on up to the largest, the Mirrorless Mover 30i, which will accommodate a camera, lenses, accessories and an iPad. •	The Mirrorless Mover 5 fits one small size mirrorless body with a small telephoto or pancake lens attached. It is sized for the Canon EOS–M, Leica D–Lux, Nikon 1 series, Olympus E–PM2, E–PL5, EP–3, Panasonic GF3, Sony NEX–C3, or similar sized bodies. •	The Mirrorless Mover 10 fits one medium size mirrorless body plus one to two lenses and additional accessories. It is sized for the Leica V–Lux, Olympus OM–D E–M5, Panasonic G3, GF5, GH2, Samsung NX5, NX11, NX210, Sony NEX–5, NEX–6, NEX–7, or similar sized/smaller bodies. •	The Mirrorless Mover 20 fits one medium size mirrorless body plus two to three lenses and additional accessories. It is sized for the Leica V–Lux, Olympus OM–D E–M5, Panasonic G3, GF5, GH2, Samsung NX5, NX11, NX210, Sony NEX–5, NEX–6, NEX–7, or similar sized/smaller bodies. 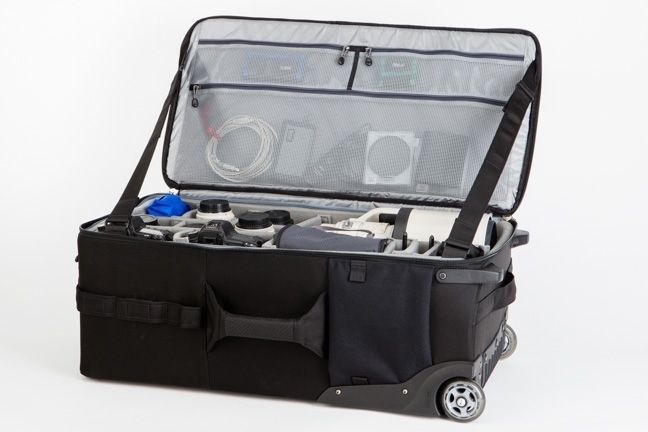 •	The Mirrorless Mover 30i fits one medium to large size mirrorless body plus two to four lenses, iPad, and additional accessories or a small–size DSLR and one to three small telephoto lenses or primes. It is sized for the Fuji X–Pro 1, Leica M8, Panasonic GH3 or similar sized/smaller bodies. Small DSLRs: Canon Rebel, Nikon D3200/D5200, Sony SLT–A55/A37 or similar sized bodies. •	Designed specifically for mirrorless equipment. •	High quality YKK zippers and metal hardware. •	Multipurpose divider with smart phone slot and two SD card slots (excluding smallest size). •	Dedicated iPad pocket (Mirrorless Mover 30i). •	Easily accessible front organizer pocket. •	Stretchable side pockets fit accessories. •	Padded non-slip flexible shoulder strap (Mirrorless Mover 30i). •	Poly–ballistic fabric ensures durability. •	Seam–sealed rain cover included in front pocket. •	Internal mesh pocket on lid for batteries or other accessories. Interior: removable closed cell foam dividers, 200D polyester, laminated non-woven backed nylex liner, polyester 190T seam-sealed taffeta rain cover, 3-ply bonded nylon thread. Think Tank Photo is a group of designers and professional photographers focused on studying how photographers work, and developing inventive new carrying solutions to meet their needs. By focusing on “speed” and “accessibility,” they prepare photographers to Be Ready “Before The Moment,” allowing them to document those historic moments that reflect their personal visions and artistic talents. They design products that help photographers travel easier, take pictures faster, and organize their gear more efficiently. The signature Nikonians gathering of the year has been announced, and half the seats are already reserved. Nikonians founders Bo Stahlbrandt (bgs) and J. Ramón Palacios (jrp) invite you to join them along with Mike Hagen (Mike_Hagen), Nikonians Academy Director, for the 13th edition of the Annual Nikonians Photo Adventure Trip (ANPAT), October 5-12. The ANPAT is the Nikonians field event of year. 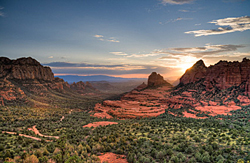 Mike Hagen, our on-site liaison, tells us this year's trip will take you to Northern Arizona where you will explore the iconic western landscapes of Sedona, Flagstaff, the Petrified Forest, the Grand Canyon and much more. The ANPAT is a unique blend of photography, adventure, skill-sharing, and just plain fun. Once you've been on one ANPAT, you'll want to come back every single year. ANPATs are open to all Gold and Platinum members and we encourage you to sign up for ANPAT 13 today. If you are new to the community, you may want see what members have to say about our ANPATs, from the early beginning. This week we continue our Masters series workshops in Indianapolis and in New York City. Then, in less than two weeks, we are running three different incredible adventures in Page, Arizona, Toronto, Ontario and Milan, Italy. 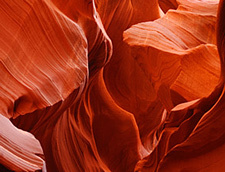 Our Page, Arizona trip focuses on Monument Valley and beautiful Slot Canyons. In Toronto, we are teaching our very popular Urban and Street Photography workshop. In Milan, Italy we'll be teaching our Glamour and Fashion Photography on Location. Our Grand Teton Wildlife and Landscapes workshop in June has a few seats remaining and we know you'll learn an incredible amount from our professional photographer and master educator Jim Stamates. Jim's skill in finding wildlife is matched by his intimate knowledge of Grand Teton National Park. 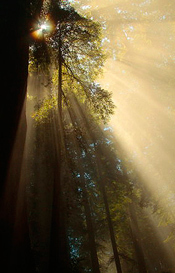 Also, during June, we are leading a wonderful trip to the Giant Redwoods of Northern California with instructor Michael Mariant. Join Michael as he shows you the secrets of photographing some of the largest trees on the planet. Finally, we are down to our last seat available for Iceland in mid-July. Join Mike Hagen in this incredible journey to the land of fire and ice. 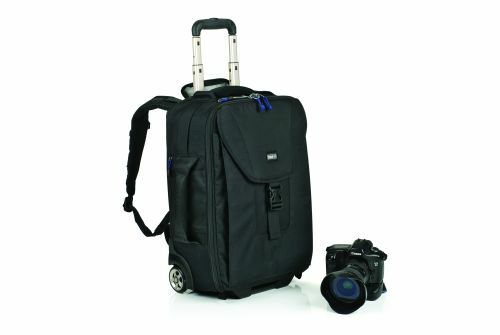 · Free 15” Laptop Bag with every order of their popular Airport Rolling Camera Bags! 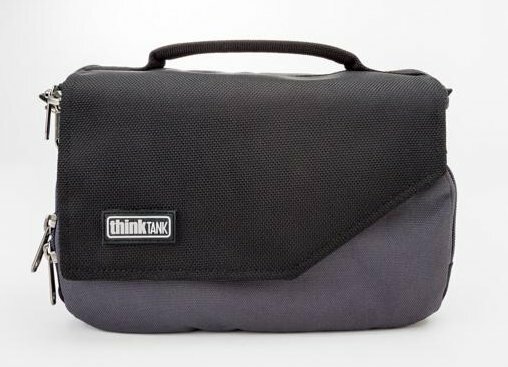 Think Tank’s rolling camera bags are renowned for their durability, security systems, and sizing so that they can be carried on board airlines, as opposed to you having to check your valuable gear at the gate. Sizes range from the Airport Security, which fits on board domestic flights and holds a 600mm lens unmounted or a 500 f/4, 400 f/2.8 and smaller lenses mounted to a pro-size camera body, to the Airport TakeOff combination roller and backpack, which fits on international and domestic flights and holds up to 400 f/2.8 and other assorted lenses or two pro or regular size DSLR bodies with or without lenses attached. Check it out! Nikonians Academy instructors are leading workshops in New York, Indianapolis, Phoenix (and Page) Arizona, Toronto, and Milan this month. The May workshop surge begins this weekend in New York City, with Steve Simon hosting workshops from May 2nd to May 7th. Steve's workshops will cover: Master the Nikon D800 and D4 - In Depth 1, The Passionate Nikon Photographer Two-Day Mastery Workshop and Master the Nikon D600, D7000 & D7100 - In Depth. Winston Hall begins his Indianapolis workshops on May 6th, starting with Master the Nikon D600, D7000 & D7100 - In Depth. He will also be presenting Master Adobe Lightroom 4 In Depth 1, Master the Nikon D800 and D4 - In Depth 1 and Master the Nikon D800 and D4 - In Depth 2. Greg Stangl will be in Phoenix on May 13th, with his three-day Secrets of Studio and Environmental Portraiture workshop while Winston Hall makes his way to Page, Arizona for the four-day Monument Valley and Slot Canyons photo adventure (starting on May 14th). Richard Hulbert's four-day Urban and Street Photography workshop in Toronto starts on May 16th, and on the other side of "the pond" the Glamour and Fashion Photography on Location with Giuseppe Circhetta kicks off in Milan, Italy on May 18th. Looking ahead to June, Greg Stangle takes his Secrets of Studio and Environmental Portraiture workshop to Chicago starting on June 3rd while Jim Stamates begins his four-day Grand Teton Wildlife and Landscapes Spring 2013 photo adventure in Jackson, Wyoming on June 5th. 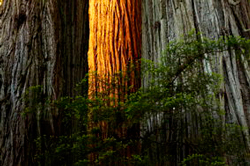 Rounding out the month, Michael Mariant's four-day Giant Redwoods of Northern California photo adventure will start on June 27th.